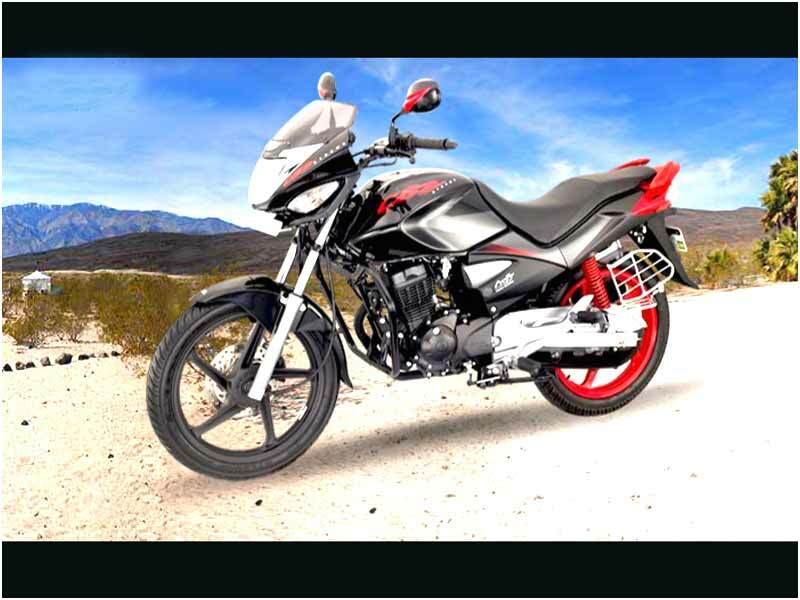 The current version of the CBZ Xtreme engine powered by a 150cc engine, delivers a maximum power of 14ps @ 8500 rpm which is comparable to other bikes in its class. It outputs a torque of 12.80Nm @ 6500rpm. It also comes with an air cooled, 4 stroke SOHC engine. This well made bike firms up the hallmarks of Hero Honda—engine refinement, slick-shifting smooth gearbox, top-of-the-class vibration isolation, low engine noise and quality components. 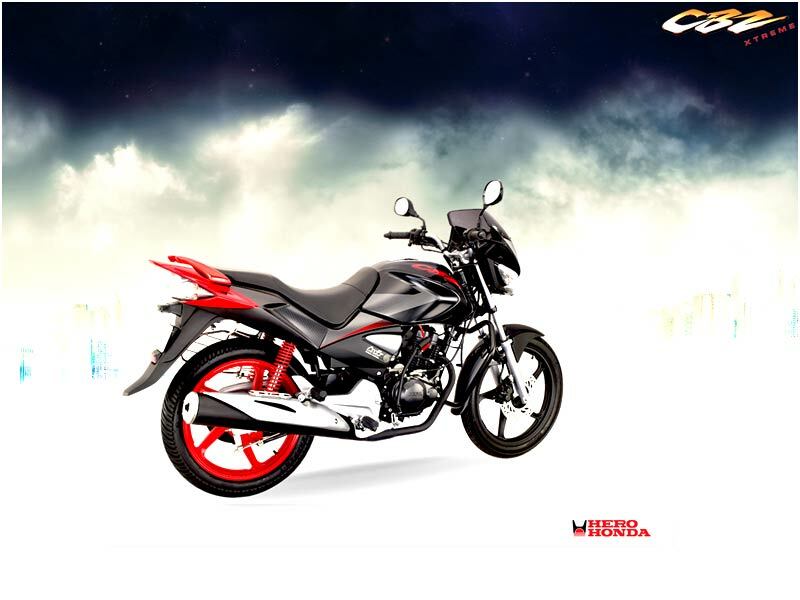 CBZ -Xtreme is Hero Honda's second brand new product in the 150cc segment after the Achiever. It is available in two variants of kick-start and self-start. Both the variants come with alloy wheel and disc brakes as standard fitment. Hero Honda's revamped version of CBZ includes the new engine. The 149.2cc, four-stroke engine is the same size class as the Achiever and Honda Motorcycle & Scooter India's Unicorn. But with the capability of generating 14.4PS of peak power, it is the most powerful engine of the three. The vertical format engine, which is assisted by a Constant Velocity (CV) carburettor, also generates a peak toque of 12.8 Nm at 6,500 rpm, quite similar to the Unicorn's mill. Hero Honda has given the engine the matt-black coat treatment for an all new look. Self-start option is another standard criteria for the New CBZ X-Treme. Except the slight resemblance to the old CBZ's headlamp, the new CBZ X-treme has little else in common. In fact, Hero Honda has attempted a radical departure from its earlier bikes in the design themes. The headlamp and fairing combo looks relatively simple and straightforward. The staked out turn indicators have been integrated into the headlamp housing. Looking somewhat like the Karizma, the elongated turn indicators in the CBZ X-Treme looks like jowls on either side of the fairing. Just above the headlamp, a stripe of clear glass conceals the parking lamp or pilot lamp. A new tinted cowl adds to the improved aerodynamics and reflects the glamour of bike's instrumentation. The X-Treme's instrument cluster is also very different incorporating circular gauges of varied sizes. There are analogue gauges, including an engine-rpm meter, a speedometer and fuel gauge, in addition to high beam, turn and neutral indicators. Body coloured rear mirrors add a sparkling dash to the handlebar area. The large fuel tank of the CBZ X-Treme is shapely and seems to have borrowed from the Ambition. Tall riders will appreciate generous knee recesses built into the fuel tank. Emblazoned across the tank's sides, the X-Treme's logo stands out and makes a colourful style statement. The ride quality of CBZ Xtreme scores above the rest, be it solo or with the pillion pulling in fast track in every gear. 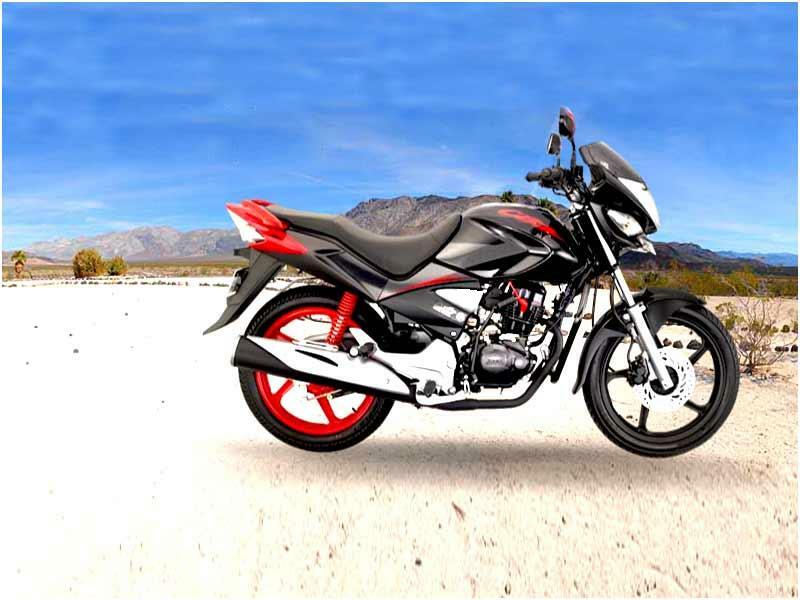 As such, CBZ Xtreme is the most powerful 150 cc bike in the country and it does show on the roads as well. The bike also shows stable road manners even with the pillion and it is a hassle- free- cornering bike. The CBZ Xtreme gives one the feeling of riding a "Mini Karizma." The rider can comfortably glide into a sporty riding position with rear set footrests. The CBZ Xtreme has also retained the "Only Toe" gear shifter of the earlier "Classic" CBZ. And unlike the old CBZ, which rests the weight of the rider on the wrists, the CBZ Xtreme has a very comfortable riding stance in which the body weight is not transferred to the wrists, all-the-while maintaining a sporty stance. Built with both kick start and self start versions with great features of the Hero Honda family, CBZ Xtreme offers an average mileage of 45-48 kmpl.